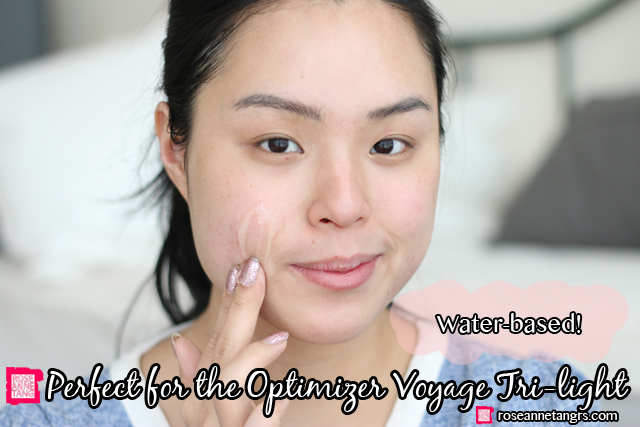 Today I’m going to do a review and tutorial on the Skin Inc Optimizer Voyage Tri Light! 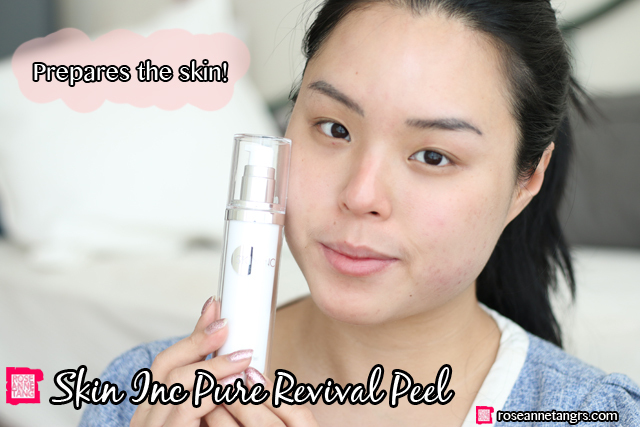 Skin Inc asked me to review this handy device and it’s something I’ve been using for a while now and that I’ve been really liking, so I want to share it with you guys. 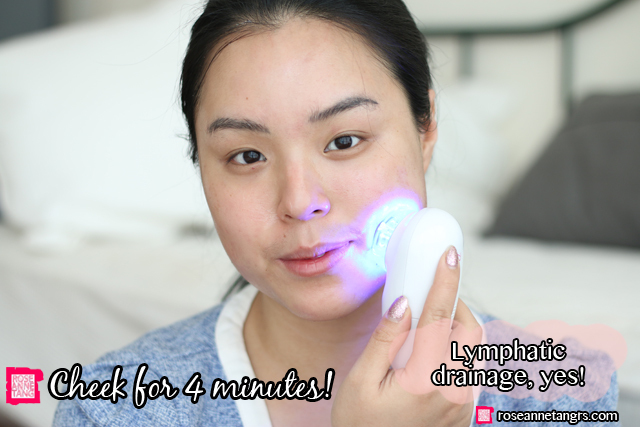 I’ve found it to be a fuss-free, intuitive device that can help you customize your skin treatments at home. Let’s take a closer look! The Skin Inc Optimizer Voyage Tri-Light allows users to tackle various skin problems including signs of ageing, pigmentation and acne and it can also improve sensitive skin and water retention. 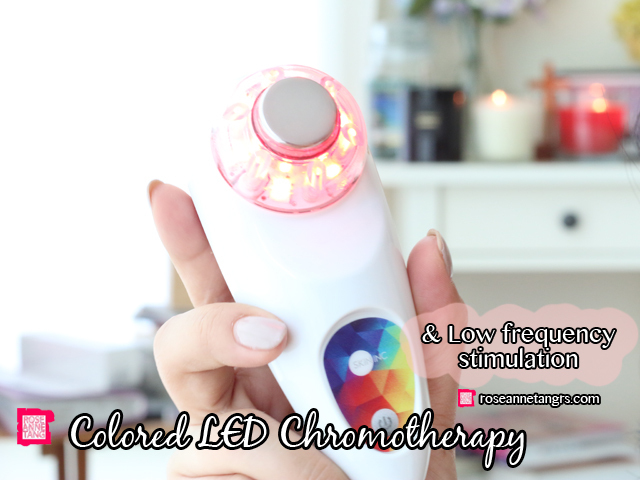 It does this by fusing the power of colored LED Chromotherapy and Low Frequency Stimulation, and enables users to perform 10-minute treatment right in their own home. Chromotherapy or light therapy has been used since hundreds of years ago to great success. All three lights offer different benefits for your skin. 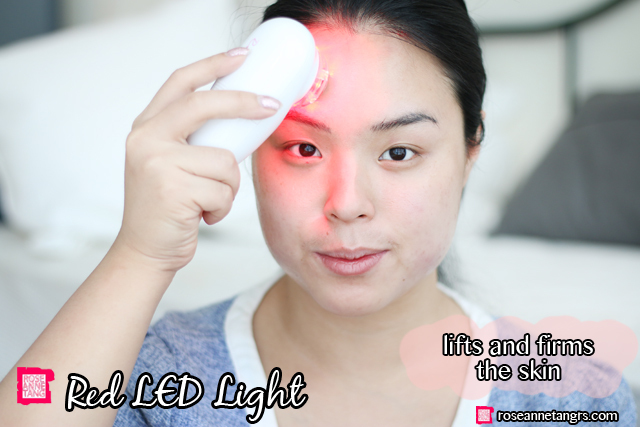 The Red LED light repairs the skin, stimulates the production of collagen, and increases skin elasticity. It improves the appearance of fine lines and wrinkles, and lifts and firms the skin. 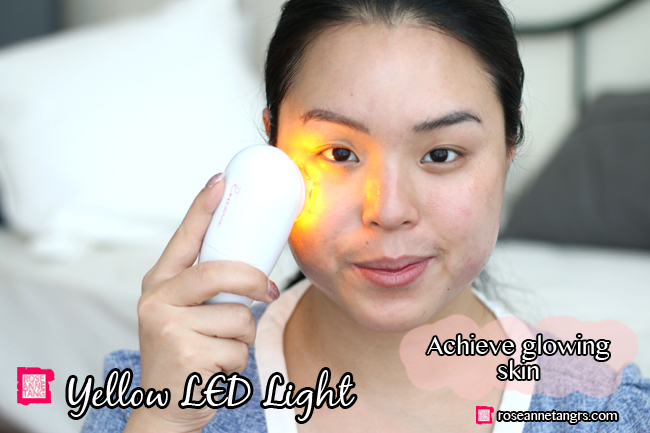 The Yellow LED light helps you achieve a Glowing complexion by reducing pigmentation, inhibiting the production of melanin, and evening out your skin tone. The yellow light treats both hyper-pigmentation, which are your dark spots, and hypo-pigmentation, which is skin discoloration. Now, the beauty of having 3 lights in one device is that you have the ability to target different areas of concern on your face with different the lights. Because most of us have spots where we are more sensitive, have shown early signs of lines, and etc. For example, I like to apply the blue light specifically at my jaw area, as I tend to break out there the most. I use the red light on my forehead to prevent worry lines from appearing, and concentrate the yellow light on areas where I see most pigmentation. I can truly customize my facial treatment with just one device! You may know that Skin Inc is known for its skincare being fuss-free. They have what they call the Skin Inc 3-Step. 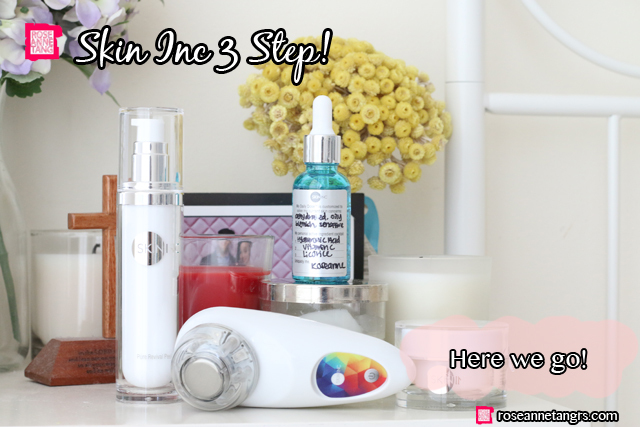 It involves 3 of Skin Inc’s must-haves – the Pure Revival Peel, the My Daily Dose serum, and Pure Deepsea Hydrating Mask. I’d like to show you how I use the Optimizer Voyage Tri-Light to optimize my Skin Inc skincare regimen. The first step is to PREPARE the skin with the Pure Revival Peel. This amazing peel first comes off as a milky gel but as you apply it to your face in circular motions, you’ll find that there are white particles that appear. These are your dead skin cells being sloughed off! The exfoliation from the Skin Inc Pure Revival Peel helps to prep the skin to maximize absorption of nutrients from skin care products. Your skin will be left soft, smooth, repaired and visibly brighter. It also reduces the appearance of pores and lines. 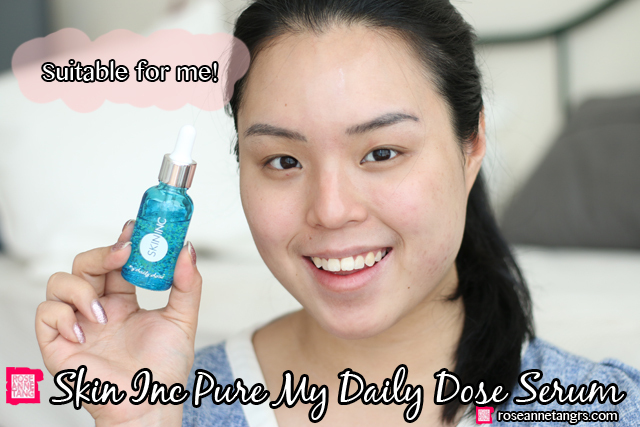 Now onto my favorite product from Skin Inc: the “My Daily Dose” serum to NOURISH my skin. Skin Inc is all about custom skincare to suit your skin needs. 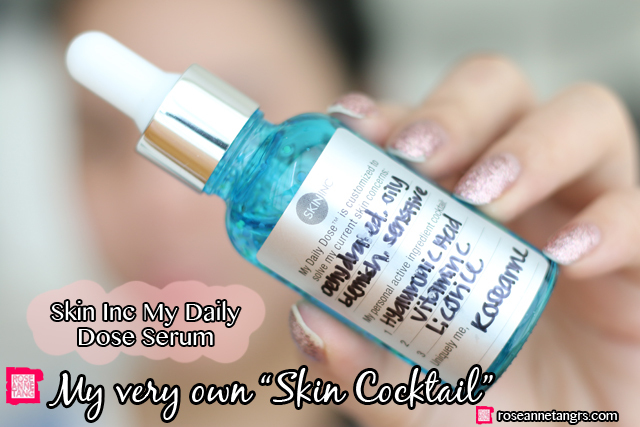 Into your My Daily Dose serum bottle, you’re able to mix 3 active ingredients that address your skin’s current concerns. I went through a Skin Identity check on the Skin Inc website and was diagnosed that my skin was dehydrated, blemish-prone, and sensitive. I was then recommended 3 active ingredients: Hyaluronic Acid, Vitamin C, and Licorice. All 3 are mixed into my bottle for a powerful, problem-solving serum. The Hyaluronic Acid helps to replenish and retain moisture for long lasting hydration, Vitamin C helps to reduce the appearance of pores and better balance sebum production in your skin and Licorice helps to calm all skin types. 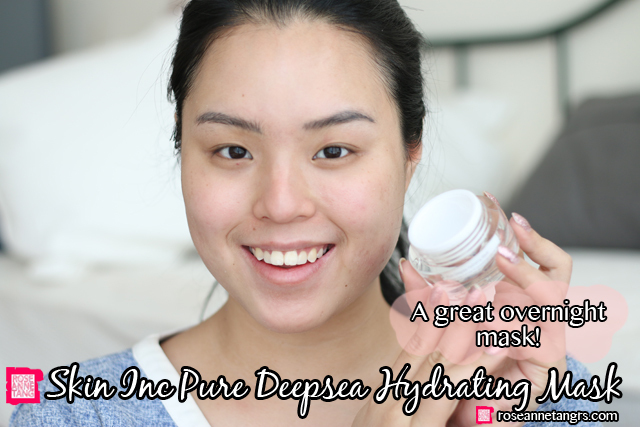 To SEAL in all the goodness, apply the intensely hydrating Deepsea Hydrating Mask. This mask is a great overnight mask with a transparent gel texture that is able to clarify and brighten the skin. It contains rich Okinawa deepsea water for nourishment, hyaluronic acid for hydration, and soybean extract for anti-aging. You’ll wake up with really nice plump and glowy skin. 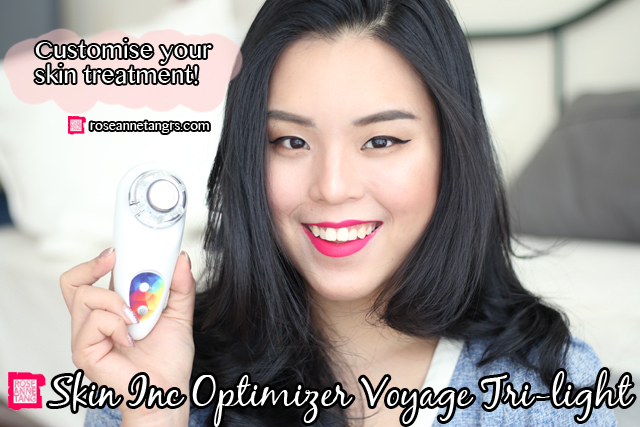 Now it’s time to optimize my skincare with the Optimizer Voyage Trilight. Remember, the Optimizer Trilight should be used with water-based products, and since the serum and mask is water-based, we’re good to go! Skin Inc recommends that you use the device in circular upward motion and on areas of concern. This is how I use mine. I start from the forehead in a circular motion clockwise for approximately 2 minutes. 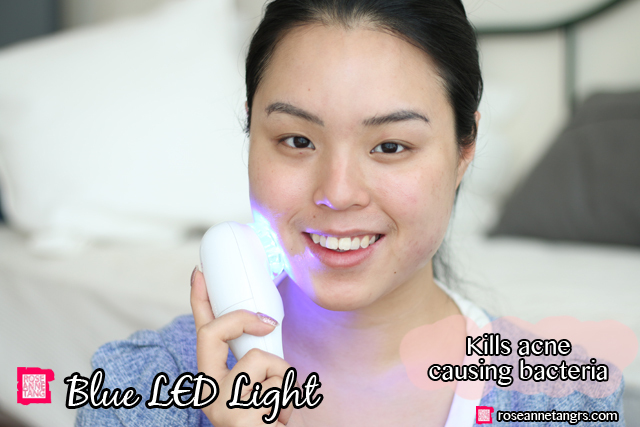 I’m using the blue LED light and typically use this light to prevent acne breakouts and soothe my skin. It kills acne-causing bacteria! After that, slowly move down to the right side of your face and use the Trilight in circular and upward movement for 4 minutes. Here’s my before and after. The most noticeable difference is that my face is slimmer because the action of the massage and the low frequency stimulation stimulates lymphatic drainage and reduces water retention. V-sculpting is seriously made easier. I also feel like my face is warmer and thus it helps with my blood circulation and my skin also feels much more toned and firmer. Did you know that the Optimizer Trilight also helps boost the absorption of active ingredients into your skin, from 40 to 90%, making your skincare work harder for you! You guys know that acne and sensitivity has been a skin concern of mine. I think if someone were to ask me what my greatest acne tips are, it would be to make sure you cleanse your skin twice – one to remove your make-up, and the other to make sure your face is cleansed. I think also hydrating it properly is important too; I tend to break out more on the days I forget to moisturize! Keeping your skin happy and balanced is the trick I reckon! Keeping acne at bay is also about maintenance; making sure that you are being extra meticulous about your skin’s hygiene, and use products that your skin likes. Having a device that reduces inflammation and prevents acne on top of your skincare really helps too, like the blue light from the Optimizer Voyage Trilight. I do foresee using this device a lot. 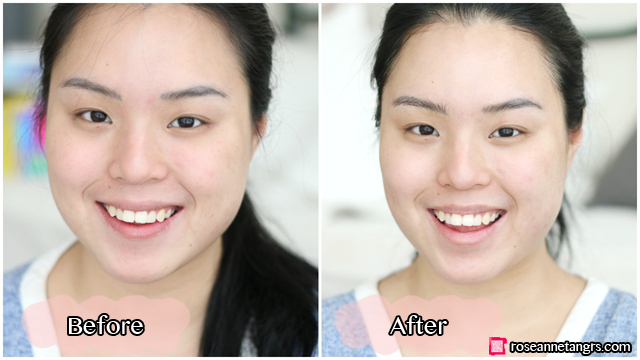 I hope you liked this review and tutorial of the Skin Inc Optimizer Voyage Trilight! It’s quite an amazing technology and I love how you can now really customize your skincare treatments to your skincare needs. Check it out if you can and I hope you liked this post. This post is kindly sponsored by Skin Inc.